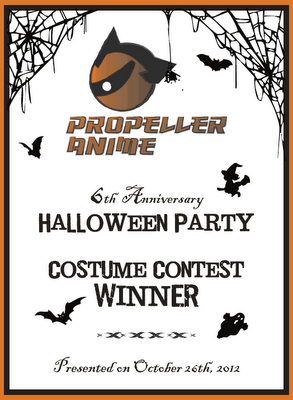 Propeller Anime: 6th Anniversary Halloween Party Costume Contest Rules! 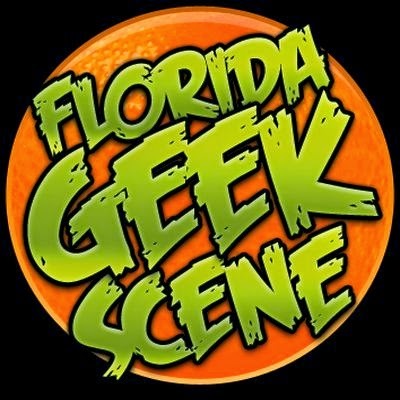 There will be a sole winner out of our entrants who will win weekend passes to both Knightrokon next June and Anime Festival Orlando 14 in August. 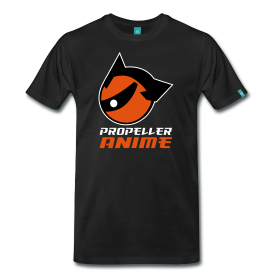 Not only that, you will receive a Neon Alley grab bag of prizes that include anime, manga, and other swag courtesy of Viz Media. And here are the rules you need to know for this contest! 1.) Your costume must be a character from a Japan-based work such as an anime, manga, film, videogame, or historical period. 2.) You must be on line up in numerical order to walk the stage at 10:30PM. 3.) Once on the stage, you have up to 30 seconds to strike your poses for photography. 4.) Our panel of judges will determine the quality of your costume and decide on a winner after all entrants have walked the stage. We are going to keep it simple so everyone can enjoy the party. This means that there will be no pre-judging or need for reference photos. These rules only apply if you are entering the costume contest. There will be a table for sign-ups that will be open until 10:20pm in the bar area of Taste. Just enter your name, your character's name, and the work or period it comes from and well will call each of you to the stage one by one!